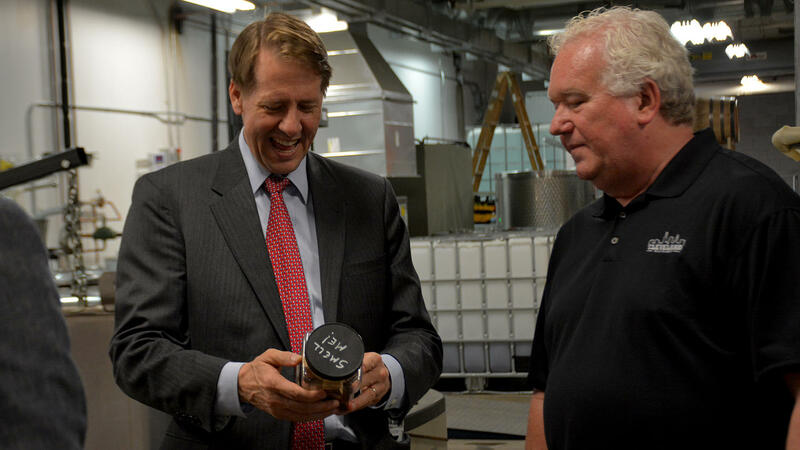 Democratic nominee for Ohio governor Richard Cordray visited a manufacturing site in Cleveland on Tuesday and talked about his small business plans. 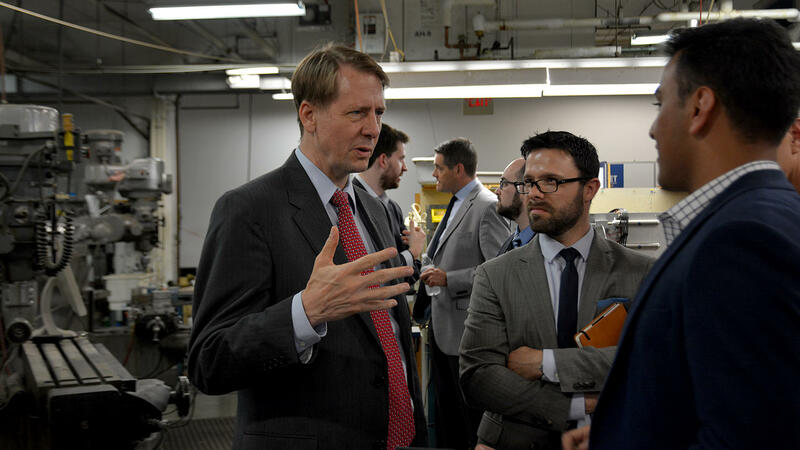 Cordray met with business leaders for a closed-to-press session at Magnet, a manufacturing incubator that receives state and federal funding. The former federal consumer protection chief then toured the facility on the eastern edge of downtown. Founders of some of Magnet’s startups showed off their products. 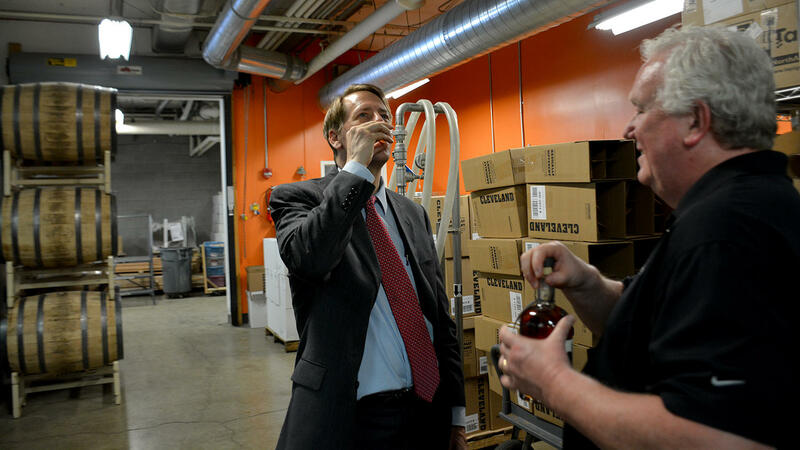 Cordray handled lightweight “smart mulch,” inspected adaptive clothing for seniors and sampled Cleveland Whiskey. Cordray’s campaign proposes hiring a small business chief to help companies with permits and low-interest loans. Some Democrats last year proposed rolling back Kasich’s small business tax cut, which allows a 100 percent deduction on the $250,000 of business income. Meanwhile, the campaign of Republican nominee Mike DeWine says he will receive a “major endorsement” at a union hall in Richfield on Wednesday. 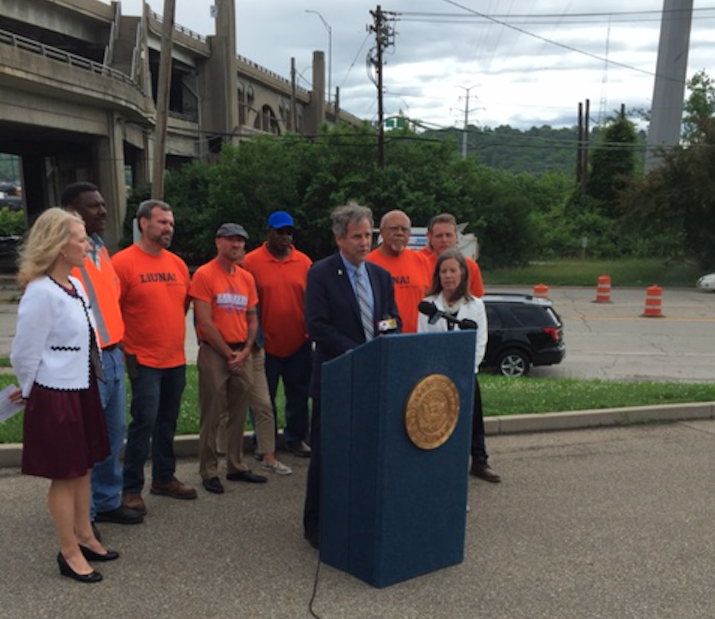 Senator Sherrod Brown told WVXU today he hopes President Trump's on-again, off-again summit with North Korea leader Kim Jong Un takes place next month. Brown, a Democrat running for re-election this year, says he hopes his bill to levy more sanctions on North Korea if they do not cooperate will be part of the leverage Trump can use if he sits down with the North Korean leader next month in Singapore. 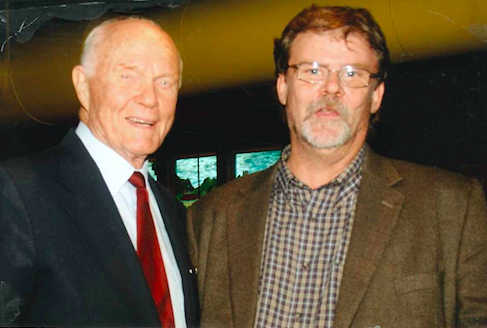 I don't hesitate to tell you that of all the countless political figures I have written about since the mid-1970s, my favorite, by far, is John H. Glenn Jr.